"Get your driving boots on for this one. Twin bunkers guard and narrow the fairway at 250 yards. 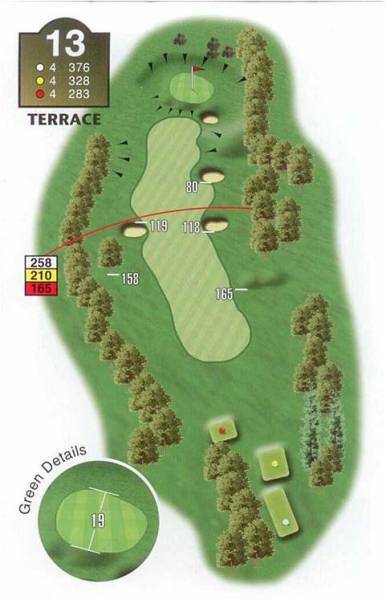 Laying up short leaves a demanding shot into a small and highly elevated green. The right side seems to offer a 'safe' route in - however, there sits a deep tricky bunker ready to compound your problems if you don't possess the required skills. Missing the green requires a sensitive touch to recover wherever the pin is placed."